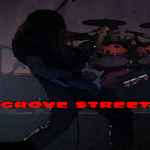 Sign up for Broadjam today to follow GROVE STREET, and be notified when they upload new stuff or update their news! 5 rockin' tracks from a live performance in Scottsdale AZ! 8 wonderful acoustic tracks by the fellas from Grove Street! Let me show you all I can be. I'm gonna love you 'til the end of time. Just sit and stay and be with me. That what will be will be will be. So I slipped back into my dreams of you. So I started home hoping I'd find you there. You and I, we were meant to be with each other. You are gone; I hope you're not with another. So I sit here; lonely and longing for you. You are gone; I hope you're not with another! Nothing to do but stare at the floor. I'm waiting for you to knock at my door. But I have other ways to ease my pain. I have nothing to lose but everything to gain. It's time for another full scale change. And I can see beyond tomorrow. And there will be no time for pain or sorrow! Growing with time I change my view. Just give me a sign and I'll love you true. And I have patience to see this through. And I hope that this is your opinion too. There are so many things I want to share with you. And there will be no place for pain or sorrow! For the wrath of man. And I see, oh, I see, I see what's ahead. I feel deranged babe without you. But I'm not and you know it's true! From here, away from here. Today, to dear, today, to dear. Give me up, the end is due. I tried to make you so happy. In love, in life, in love, in life. So goodbye my dear, goodbye my dear. Never show that you want me.